This hostel is very chilled out, clean and safe. Right in the centre of Bugis which is accessible with lots to do, but it is not noisy at all. The staff are really friendly and happy to give any advice, there are locked areas to keep luggage and there is privacy for sleeping. Easy access to MRT Station and Bugis Junction. The bathroom is spacey and clean, towel provided also. In general good atmosphere. Bathroom were little moldy. I didn't like that toilets and showers are together, I rather separate spaces for it. No liquid soup in a few showers. Ridiculous price for what it is, but consistent with Singapore market for pods. Was clean (rooms and bathrooms both clean) but tiny as expected - no room for bags. The staff were a bit rude/incompetent overall, clearly didn't want to be working there and seemed inconvenienced. There were CHILDREN allowed to stay for some reason which was weird. Free breakfast was good, common area nice, wi-fi strong. Great location walkable to many sights and metro station. This is probably the worst atmosphere I've ever had in a hostel. Everyone on their own, stuck in their mobile phone screens. Also, I couldn't fit in my one bed, I'm 6". 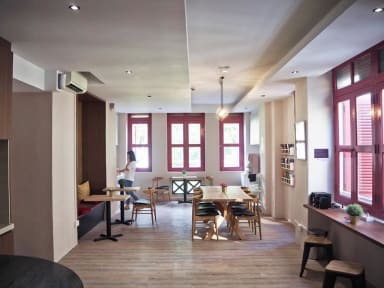 Thought this would be really nice as it is a new hostel- and it was very clean. However it just felt really cramped and claustrophobic. There aren’t enough shower rooms so there was always a queue just to go for a wee, and the rooms and shared area are really small so you don’t want to spend any time in them. The location is good and I appreciated the free breakfast and towel, but I wouldn’t stay again or recommend to others. 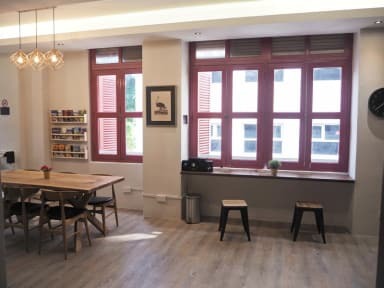 There’s lots of much nicer hostels in Singapore. Very dirty. Facilities were never properly cleaned in five days. All bathrooms were constantly wet, as toilet and shower are in one stall, all of the showers were broken in one way or the other Breakfast was a joke, staff was rather uninterested. In General very Little respect between the guests, concerning noise and light kept on a high level sometimes until 2 am. Worst part, every time someone enters or leaves the door does a ringing sound twice, I promise you won’t sleep a lot here !! !